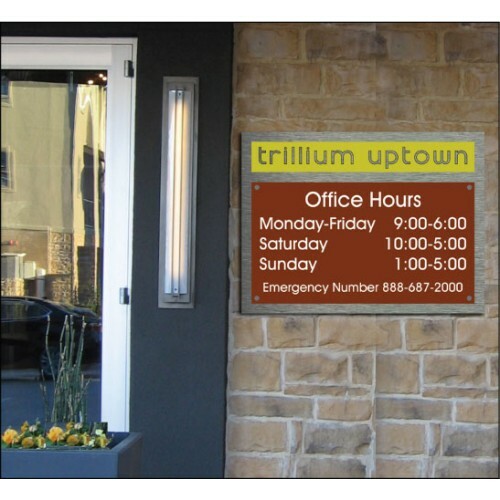 Get a new and sophisticated look for your office hours without having to spend a lot of money. 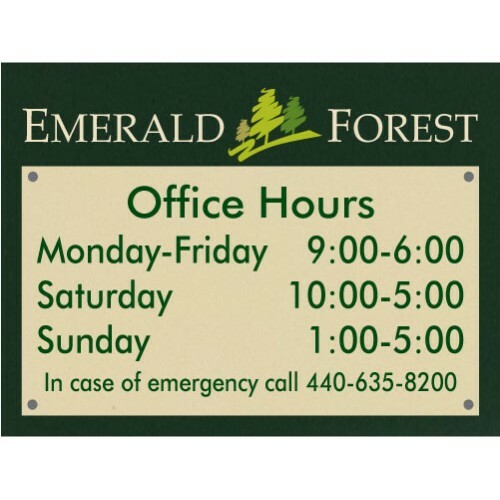 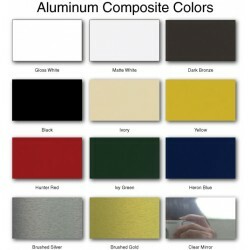 Our Designer Office Hours are made of durable, rust free aluminum composite with two changeable acrylic hours panels. 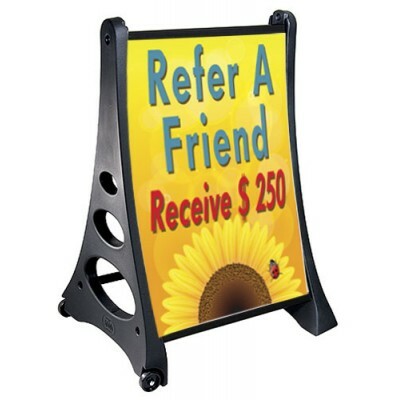 The size is 13.5 inches tall by 18 inches wide. 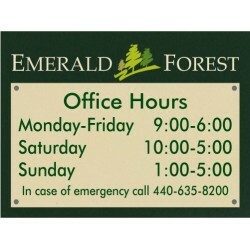 The sign includes two office hours panels, one for your summer hours and one for winter. 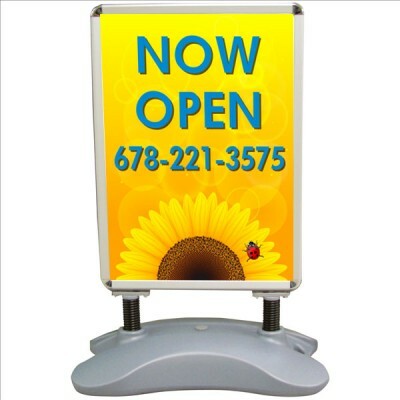 The panels are digital print durable 2 MIL PVC. 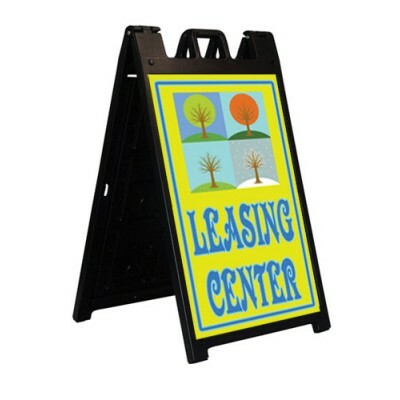 The panels attach to the sign with attractive 1/2” stainless steel standoffs. 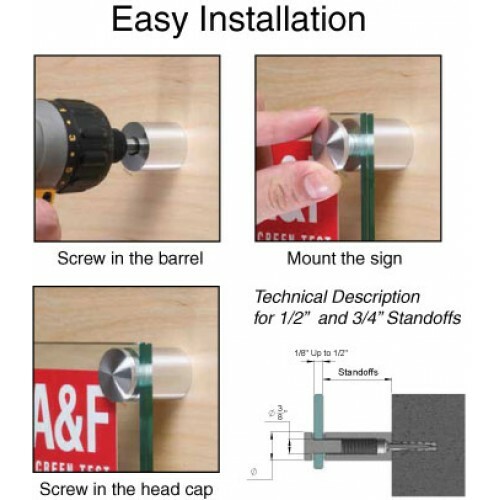 To change your hours, just unscrew the head cap, remove the hours panel, replace with new hours and screw the head cap back.